I thought I’d start off the morning with an early Seinfeld reference. One of the greatest things about this time of year is the brilliant colors at sunrise and sunset. This winter certainly has not disappointed in that regard. We’ve had our share of cloudy mornings but also some brilliant sunrises and sunsets! The trick is to be ready to capture them when they occur. 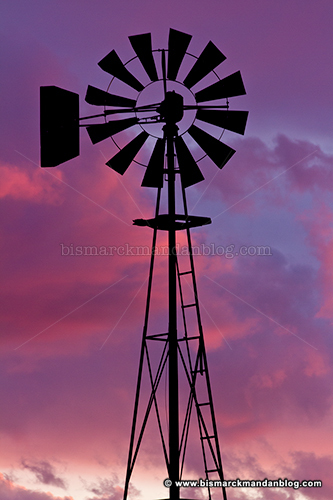 This entry was posted in Sunrise, Windmills and Wells by Clint. Bookmark the permalink.